Together with Beyond Water, BioCera, The Foundation For Magnetics Science and the amazing discoveries of those such as David Hudson and many others in the field of Waterology, the team at pureH2Otechnology© is on a mission to create the first true and complete Living Waters System© that can produce acid, neutral, alkaline, magnesium dioxide, magnesium bicarbonate and many other forms of revitalized water. Ending the need for bottled water forever. With our unique Mulit-Vortexing, bio-ceramic mineral infusion process, a Living Waters System© is designed to offer the end-user a pristine, structured, living water for drinking, bathing, washing, agriculture, etc.. A Living Waters System© can also harness and concentrate O.R.M.E., or (Orbitially Rearranged Mono-atomic Elements) and other etheric, essential elements, thereby creating a true consciousness evolving and highly beneficial, "wholefood" water. 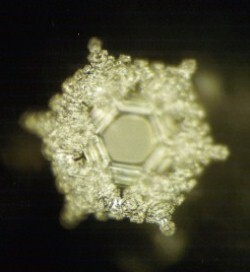 By further utilizing the knowledge, research and techniques of great minds like Masaru Emoto from Japan, Viktor Schauberger and Johann Grander, from Austria, as well as many other masters in the realm of waterology, we at pureH2Otechnology© can now provide the end-user a true pristine, living waters system to custom fit any size application, budget or project. We currently have applications available for portable units, small home units from 1.6 and 2.5 to 4.0 million gallons, commercial units from 10 million gallon capacity for large property, such as ranches and estates, small hotel, apartment complexes to private communities and small towns up to 22 million gallons. To request an estimate please contact us during regular business hours. Contact pureH2Otechnology email here. Hours available 9am -6pm PST, Tuesday - Friday. Sat. 10-2. Closed Sunday/Monday. Also currently available for prototype and/or market ready: Hydrogen, Nano-Solar, Magnetic propulsion, Clean, low-cost premium energy and many other self-sustaining, zero waste, 100% "Green" Technologies. Inquire for investment opportunities. Check out our Waste to Energy tech here. 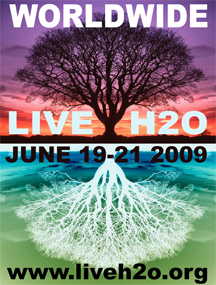 pureH2Otechnology© is located in beautiful southern California, here to serve pure H2O for the benefit of all. No project too large, no location too far! Change the way you look at things and the things you look at will change! Become the change you wish to see! Contains pure .9999 silver foam and BioCera Tourmaline bioceramic media, containing Infrared and Negative Ions. Compact and travel convenient. Great for anything you use silver for. Product contains ORMUS. This product contains BioCera media that is CERTIFIED, PATENTED & TESTED. Cost $129.00 - Special here only $99.00. Lasts up to a year, or 500+ refills, depending on source water used, some have reported longer. ORMUS and the power of O.R.M.E.